BLUE JAY Spiked Feather Lapel Pin. The Blue Jay is known for being bold, intelligent and vocal, and this inspired and equally bold, Blue Jay feather lapel pin design, by Plumassier artist Tracey Telford, is just as able to speak for itself. 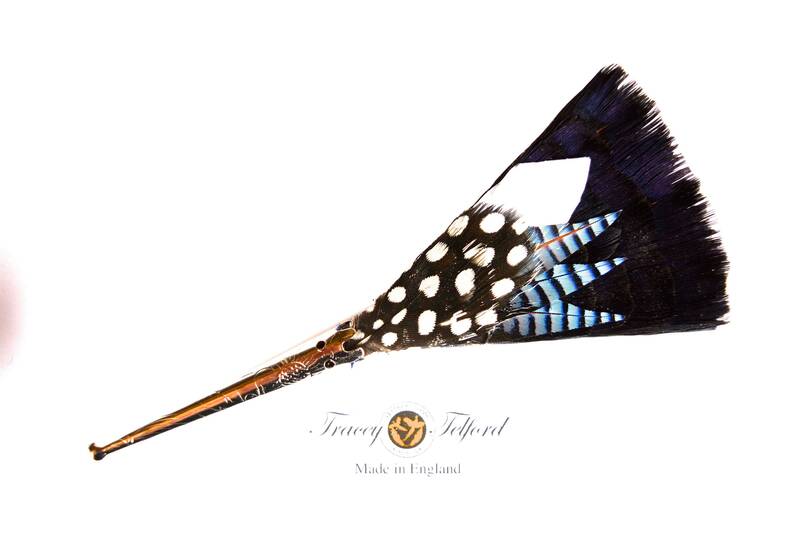 The Blue Jay represents truth, faithfulness and enduring love and loyalty, and this striking combination of black, white and two-tonal blue, from the individually hand placed Blue Jay, guinea fowl and pheasant natural feathers, will always ensure a lasting impression. This Blue Jay design is set on a 100% silk black base. It is, however, also available on a quality satin, and a range of others base colours can also be selected to match your chosen design aesthetic. Available in a choice of either silver or gold coloured pin base, each lapel pin is handcrafted carefully with finely placed rows of natural genuine feathers. You can also select whether you would like feathered ‘spikes’ at each end, as a feature in your preferred design. 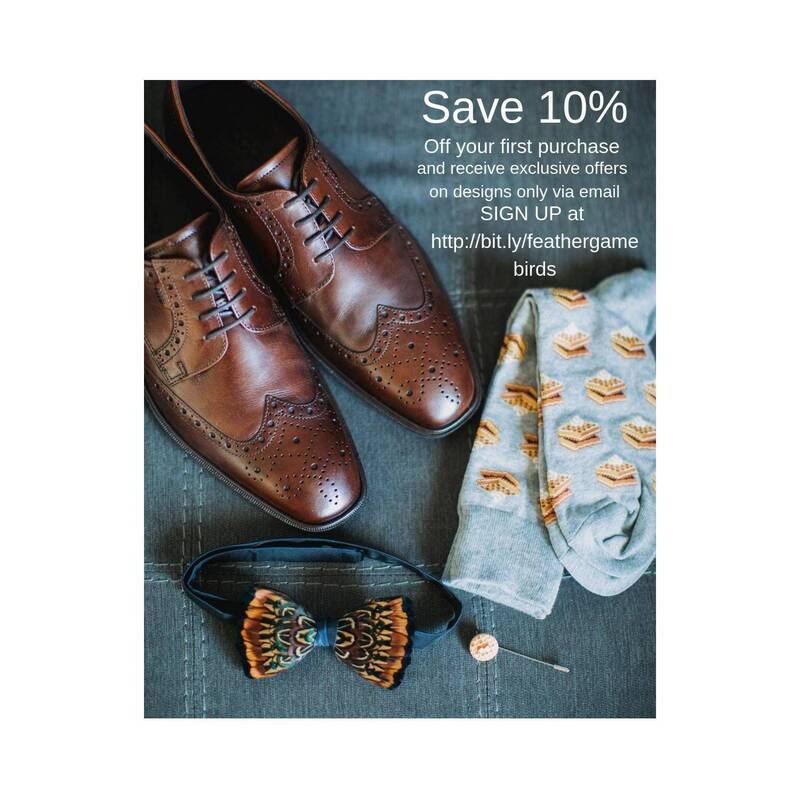 This lapel pin design is a perfect intentional match for the Blue Jay feather bow tie and complementing feather pockets, wrist corsages, hair clips, bouquets, and fascinators are also available for group events, bridal parties and collectors alike.